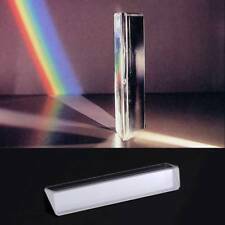 K9 Optical Glass Right Angle Reflecting Triangular Prism For Teaching Light Spectrum. Material: K9 Optical Glass. 1 x Triangular Prism. It will be nice to add to your photography supplies. Makes a Great Gift - Most people at age would have a lot of fun playing with it. Material Crystal. (United States, United Kingdom, Australia, Canada, Japan, Philippines, Malaysia, Thailand, Singapore, Indonesia, New Zealand, Ireland, Austria, Denmark, Germany, France, Finland, Malta, Norway, Sweden, Switzerland, Spain, Italy, Russia, Ukraine, Brazil). It is used to research the refraction and dispersion of the light, and make a thorough inquiry of the forming of the rainbow. Buy it now, and let your children enjoy the fun of light! It is a good present for children! Brand New!!! 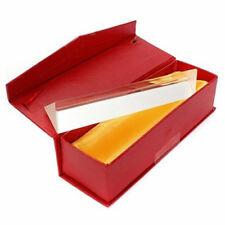 Material: optical glass, not plastic Color: Transparent Quantity: 1 pc Side length: 3 cm / 1.18" Prism length: 15 cm / 5. Decorative chandelier, set off the taste of life. Suitable for: high-grade crystal bead curtain, curtain, curtains, partitions, entrance /. 50pc x Crystal Prisms Pendant. Material: crystal glass. loose beads, DIY crystal light fittings. 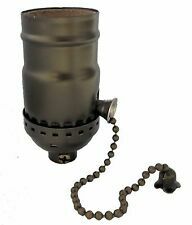 Fits E12 light bulb bases (night light,candelabra,chandelier bulbs). 5 X E12 Light Socket. Due to the difference between different monitors, the picture may not reflect the actual color of the item. beautiful prism to hang in a window! quality!!! Package:1Pcs/Lot Material:Glass Crystal Size:approx 40MM///1.6INCH Weight:approx 25Grams/Pcs Usage:Jewelry DIY/ornament/hanging/suncatcher/decor Top K9 Crystal Home Decorations. Massive New Product, Constantly List on!. Style: prisms&wedding decor. Color:Apple green. Refraction effect is super good. Yours sincerely apologize for any inconvenience. We solve the problem in the way you are satisfied. We ask for your understanding! Crystal chandeliers. Crystal Ceiling Light. Crystal Wall Light. Crystal Restaurant chandelier. We will choose the mode of transport over your country. Style: prisms&wedding decor. Therefore, pls give us a change to first fix the problem. Size: 20mm. Material: K9 Crystal. Color: As Picture Show. Top K9 Crystal Home Decorations. Massive New Product, Constantly List on! Item 100% brand new Material:K9 crystal Color:Clear Size:1.78inch" ///45mm Weight:approx 24Grams Package:1Pc Usage:Jewelry DIY/ornament/hanging/suncatcher/decor. 10pcsClear Glass Crystals Chandelier Lamp Prisms Parts Hanging Drops Pendant 20mm Size:20mm*12mm////0.8"* Specifications: Type: Light Decoration Jewelry making Style: Modern Simple Color: Transparent Material: k9 Glass Weight:approx 22g/10pcs Finish Types: Profiling, grinding and polishing Packing Details: 10pcs Crystal Faceted drops pendant. A LOT OF 50 ANTIQUE BRONZE BOW TIE CONNECTORS USED TO CONNECT CRYSTALS PRISMS TOGETHER AND AS HANGERS TO HANG CRYSTALS ON CHANDELIERS AND LAMP ECT.BRONZE IN COLOR 45MM OR 1 3/4 " IN LENGTH( CRYSTALS NOT INCLUDED). Size: 35mm. Color: As Picture Show. Item No. : HD171725DE. A-Grade K9 is an eco-friendly lead-free crystal with superior ability to transmit and reflect light. 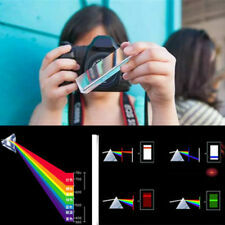 These crystals throw rainbow reflections when hit by sunlight or lights. Color:Transparent Color. Rainbow reflections are produced when a facet is hit by rays of sunlight. Material: Crystal. 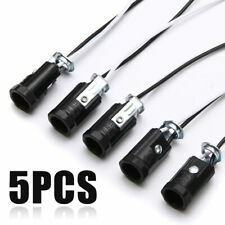 Size: Drop Size: 1.49" (38 mm). Color: As Picture Show. Chandelier Lamp Prism Pendant. De wind spinner. 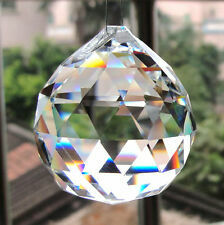 Crystal Diamond Paperweight. Crystal paperweight. Crystal Lamp. Christmas Decor. Material:K9 Crystal. Color : Clear. Specification: Type: Cube dichroic prism Color: Transparent Material: Optical Glass Size: About 20x20x20mm/0.78x0.78x0.78inches Put it under the sun, you can see its brilliant and colorful, given to children as a gift, to cultivate children's. 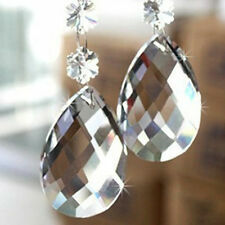 10pcs Crystal Icicle Drop Prism Chandelier Pendant Accessories Party Decoration. Material: K9 Crystal. Color: As Picture Show. The images are for reference only. Item No. : DE1616900. Chandelier Lamp Prism Pendant. Wedding Supplies. 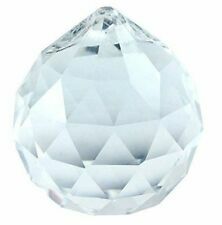 Crystal Diamond Paperweight. Christmas Decor. Crystal paperweight. Crystal Lamp. Material:K9 Crystal. The images are for reference only. Material: High-quality K9 Crystal. Color: Multi. N.W. : 12g /pcs. Size: 20 mm. Bottom Drop Size: 0.5 0.9 1.5" (38mm) Whole Size: 7 0.9". Material: K9 Crystal. N.W. : 20 g/pcs. Color: As Picture Show. Size of bottom pendant: 38mm. Net Weight: 7g/pcs. Material: High-quality K9 Crystal. Color: Colorful. Item No ：DE1612600 2. 50mm Clear Raindrop Crystal Glass Chandelier Lighting Prism Drop Hanging Pendant. Colorful 76mm Glass Crystal Lamp Prism Part Hanging Drop Pendant Chandelier. 76mm Dark rainbow Glass Crystal Lamp Prism Part Hanging Drop Pendant Chandelier. (Length of bottom pendant: 38mm. 1) Transparent pendant, color and luster is bright. 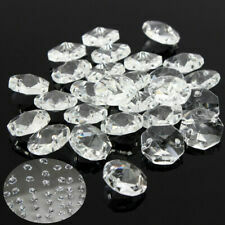 Item included: Glass Crystal Pendant x 15. Color: Transparent.